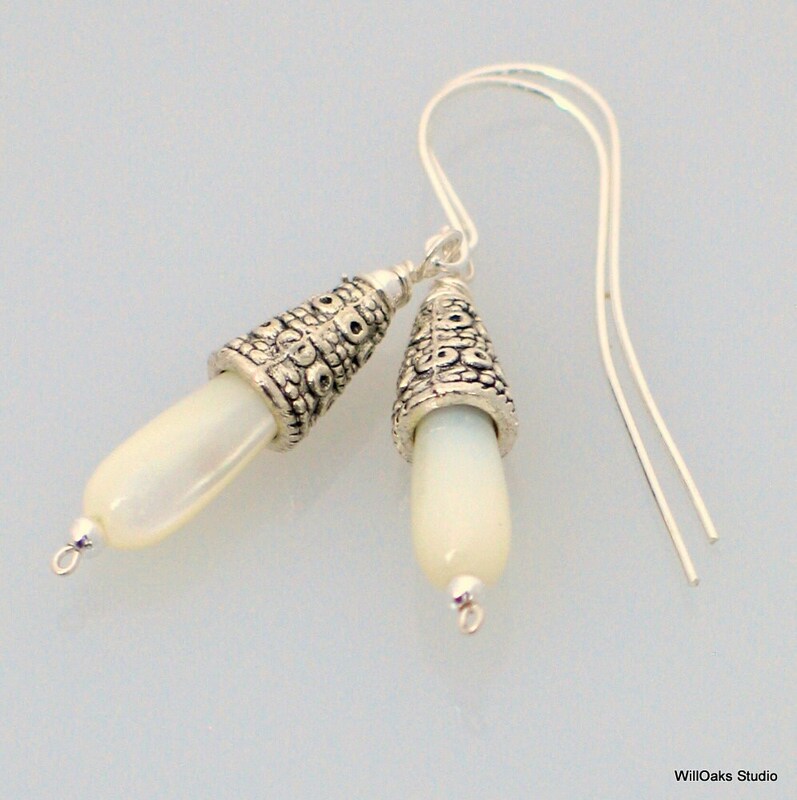 Long slender dangle earrings feature beautiful white mother of pearl teardrop beads capped by fancy textured cone shaped bead caps and handmade ear wires. 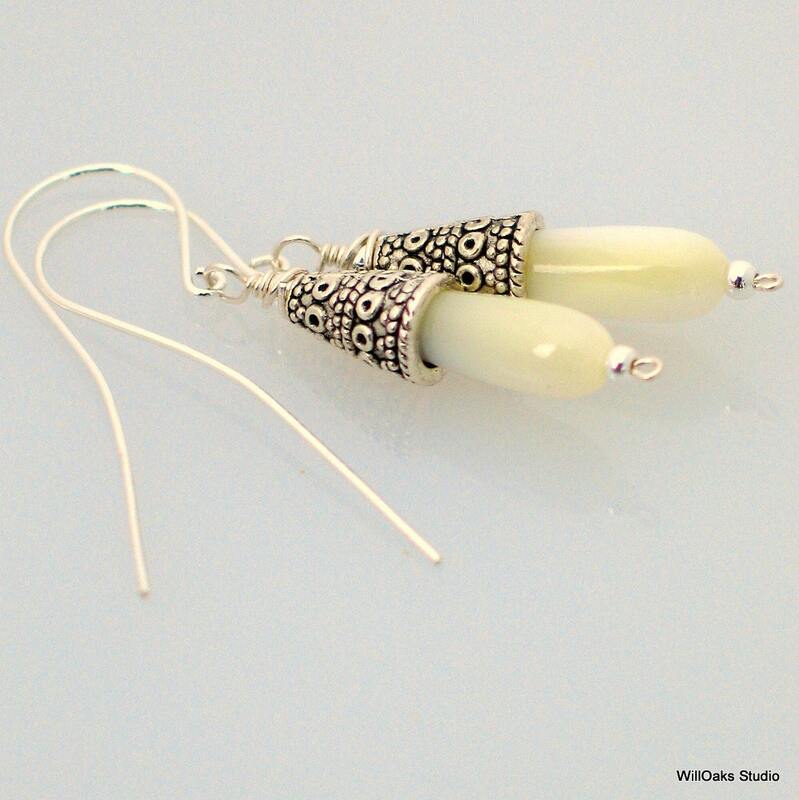 Rich contrast of smooth and textured, the mother of pearl seems to glow from within while the cast pewter cones with silver plating are covered with dots and circles. 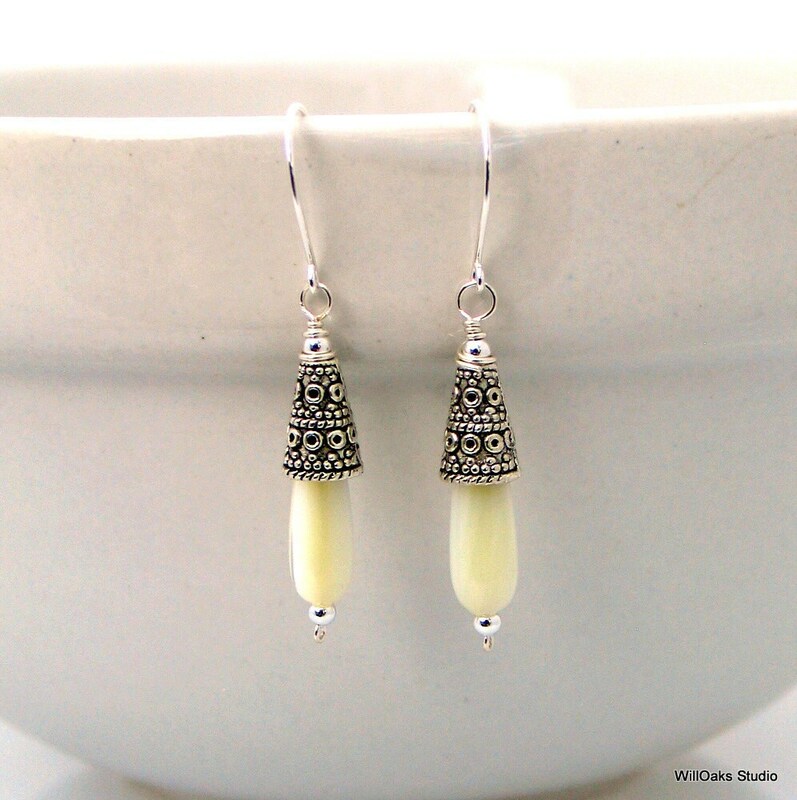 These white earrings are a perfect accessory for so many occasions that might include weddings, beach wear, summer fun, business and fun. 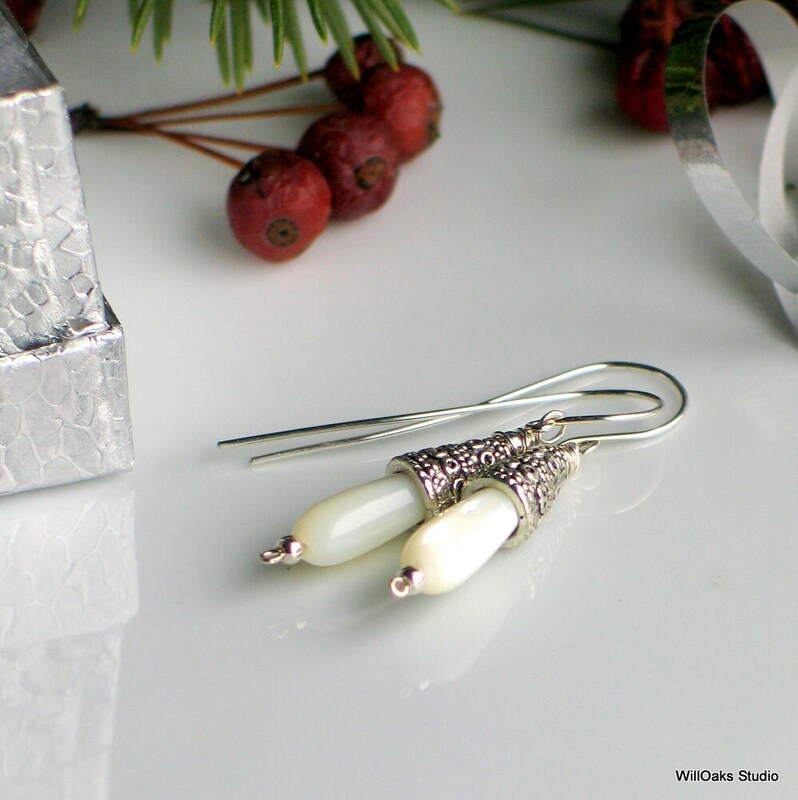 My handmade "shepherd's hook" sterling ear wires are shaped long backs to counterbalance the front. The effect is of understated elegance that will go from formal to casual and will work with many outfits and looks, working with pearls and mother of pearl pieces. A perfect "gift for her!" 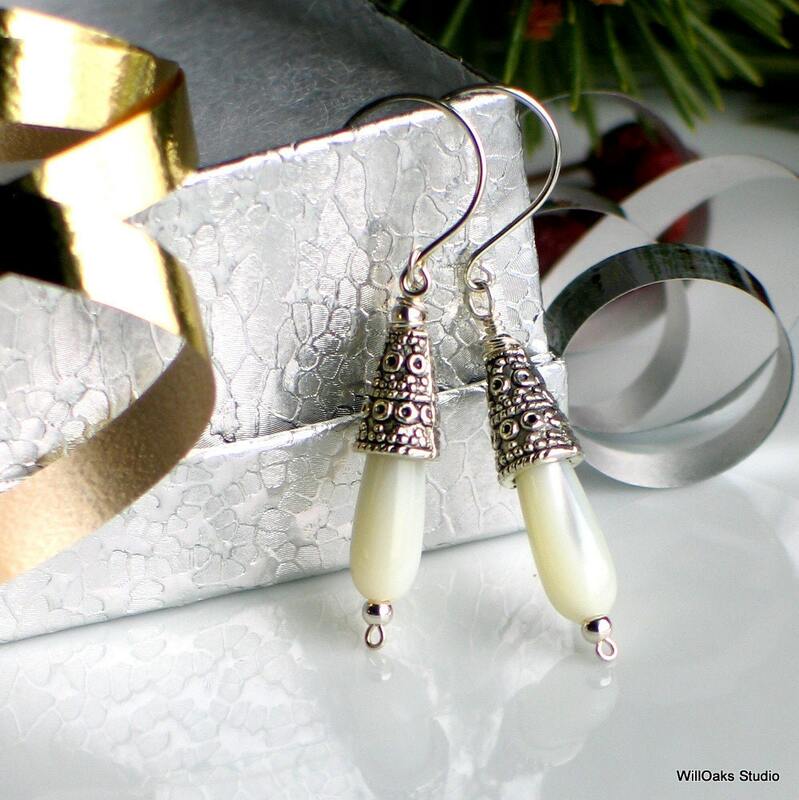 WillOaks Studio earrings are presented on custom earring cards in small velvet bags or in boxes for gift giving, depending on preferences.